When the organisers of Eindhoven's Extrema festival started thinking about which DJs they wanted to play extreme music at their July 14 event this year, naturally they chose Cadenza's Vagabundos. After all, we are masters of grand dancefloor destruction, constructors of large-scale chaos, and conductors of wild crowd energy. We push hedonism like there's no tomorrow. There ain't no dance, like a Vagabundos dance! For this mighty event in Holland on Bastille Day, we will storm the castle of reality, tear down its boring walls, and revive the true spirit of people power. 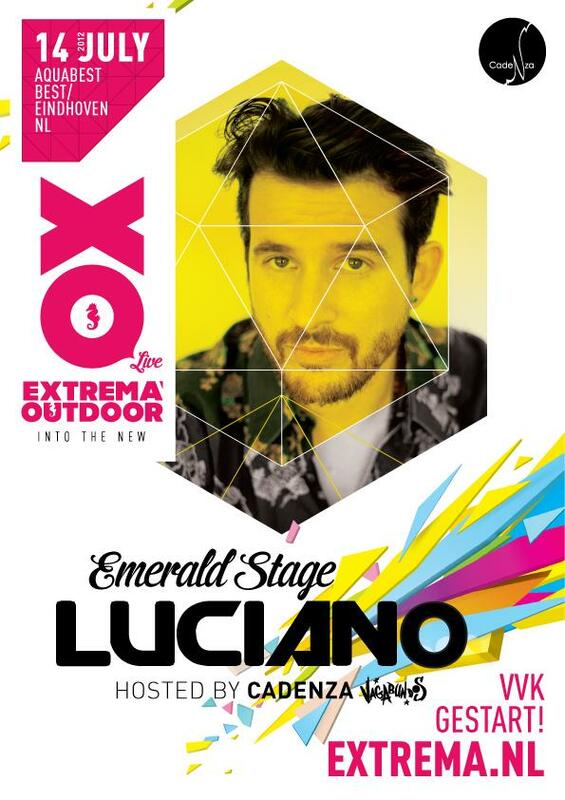 Our foot soldiers Luciano, Kenny Larkin, Robert Dietz, Digitaline, Mirko Loko, Ernesto Ferreyra, and Maayan Nidam will bring Extrema Outdoor's Emerald Stage to its knees. Viva la Vagabundos!